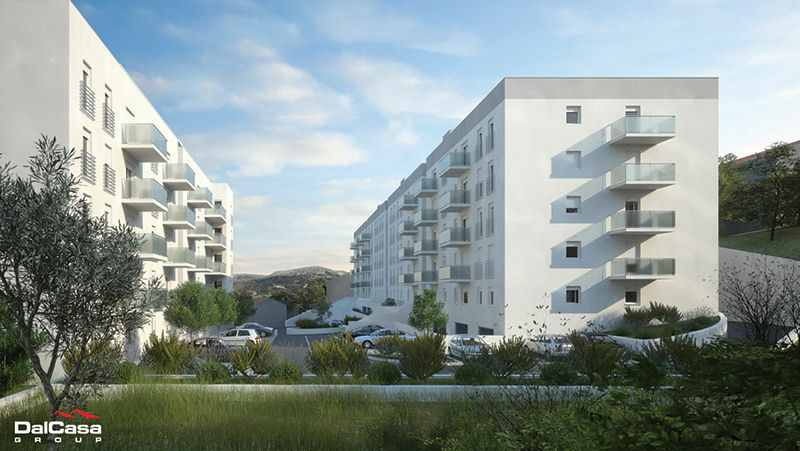 The “Gate of Split” project includes two residential objects of different sizes with 125 new apartments. 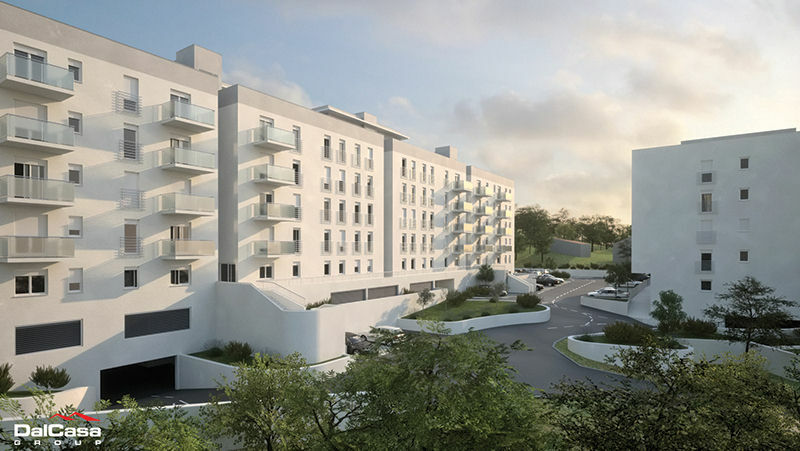 Both objects consist of the ground floor, five upper floors, annex and the subterranean garage that will provide parking spaces for tenants. A panoramic elevator connects all floors. 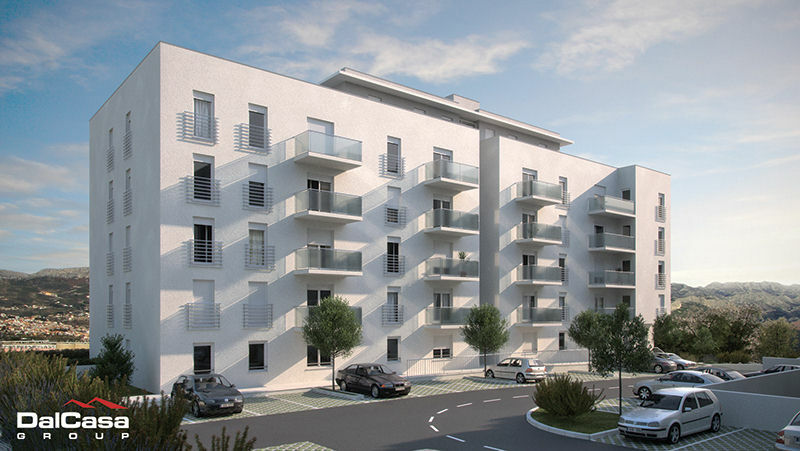 The “intelligent construction” approach is used in the process of construction, which includes usage of top-quality materials with a high level of comfort, as well as an environment that is ennobled by unique horticultural decorations. Building permit is expected in second half of 2016. Beginning of construction is planned by January 2017, and completion by September 2018. 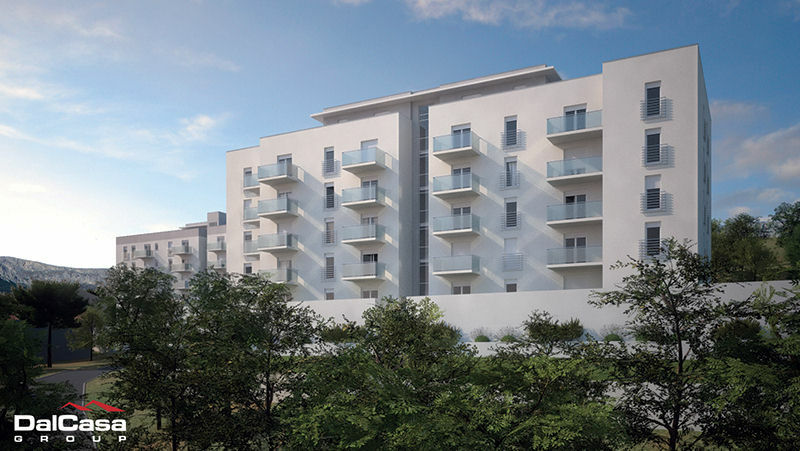 Both buildings are located on a mild slope, which guarantees a large number of sunny hours. 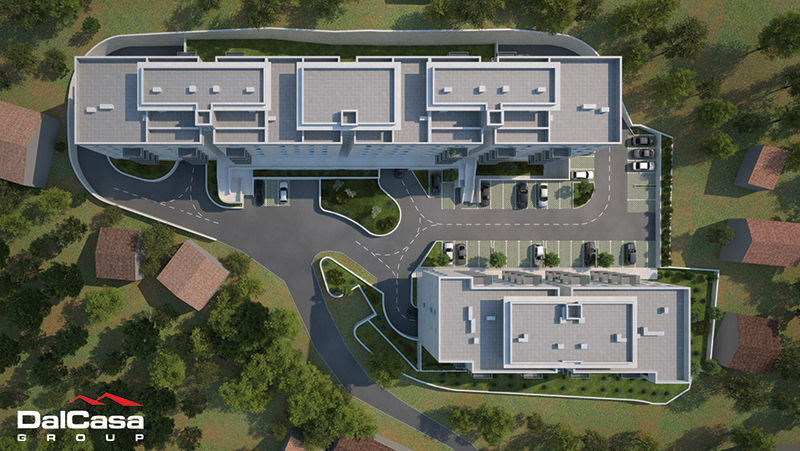 Thanks to their position, the objects will have excellent traffic connections with two access roads – one will connect the buildings to Brda, while the other will enable access from the old Solin road. 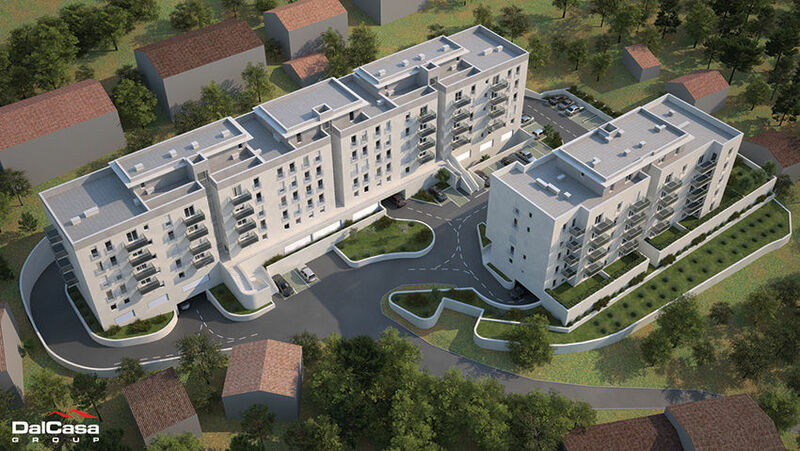 DalCasa’s project “Gate of Split” is adjusted to the needs, capabilities and residential habits of the largest number of today’s families, which means that the apartment sizes vary from 36,20 m2 to 82 m2, and every apartment also receives a parking space in the garage. 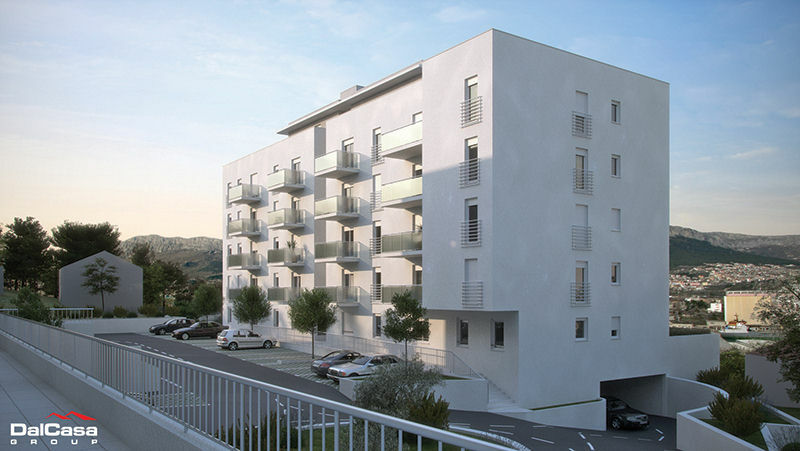 We have decided to apply the same quality solutions we used in our previous projects, so the basic apartments’ concept combines the living room, dining room and kitchen into one space, while the “sleeping section” of the apartment – bedrooms with bathrooms – is separated from the apartment’s daytime area. 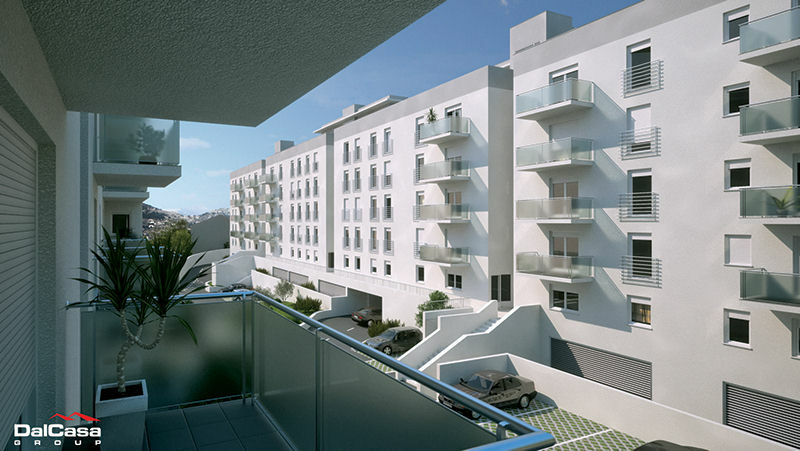 Depending on its position in the building, an apartment can have a balcony or a loggia, and in order to take maximum advantage of the possibility to connect residential units to the environment and provide comfort for the residing families, ground-floor apartments will have direct exits to their own fenced gardens. 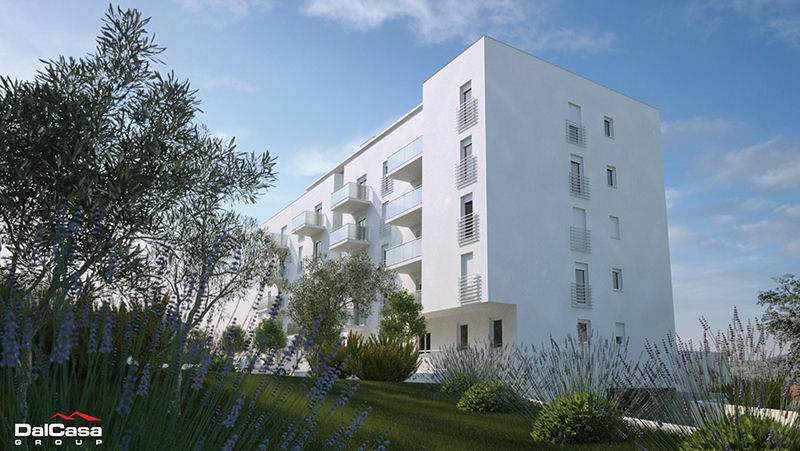 Some of the ground-floor apartments are also completely adjusted to the needs of physically disabled people. Floor drawings are available in PDF format by clicking on appartment code. 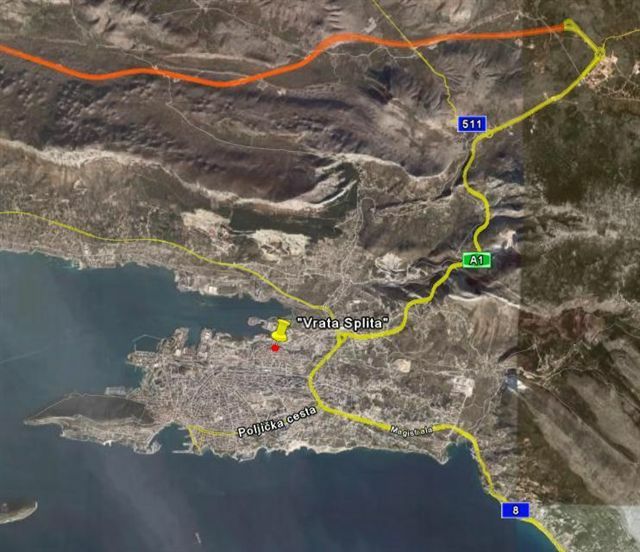 Split, capital of Dalmatia and its administrative centre, is located in ideal climate conditions, between the sea on one end and below Mosor on the other end. 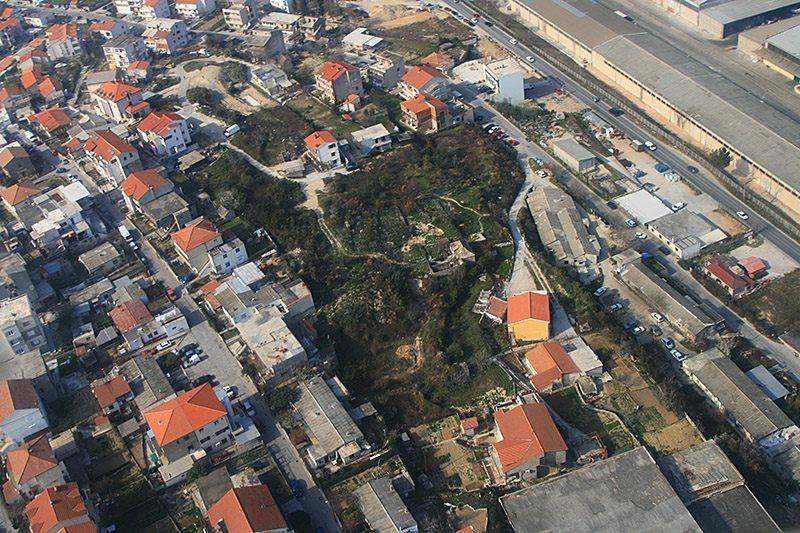 It presents itself as a unique combination of tourist, industrial and economic centre that also preserves its “green” section – Marjan, park-forest that reveals itself as a recreational complex and the city’s lungs. 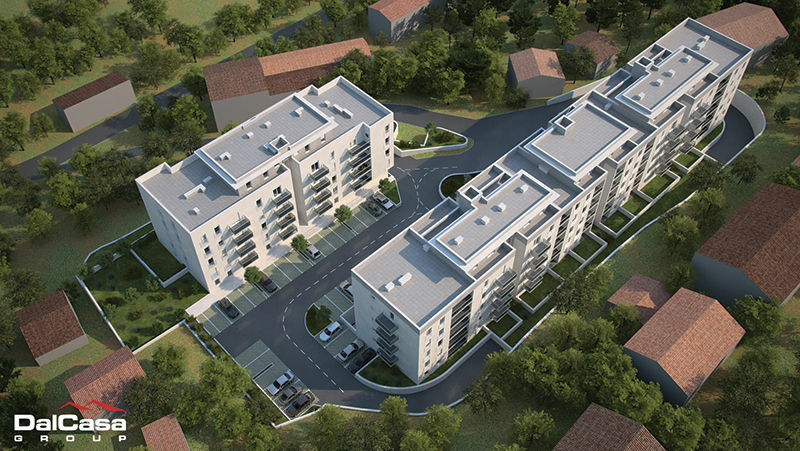 Brda was previously known as a suburb in the northern section of Split, but it now comes across as a vital part of the city that possesses all necessary facilities for a quality life for young families and senior citizens. Although the area gravitates towards the city centre, it still possesses all characteristics of an independent section of the city, so Brda has a market, shopping centre, kindergarten and school. 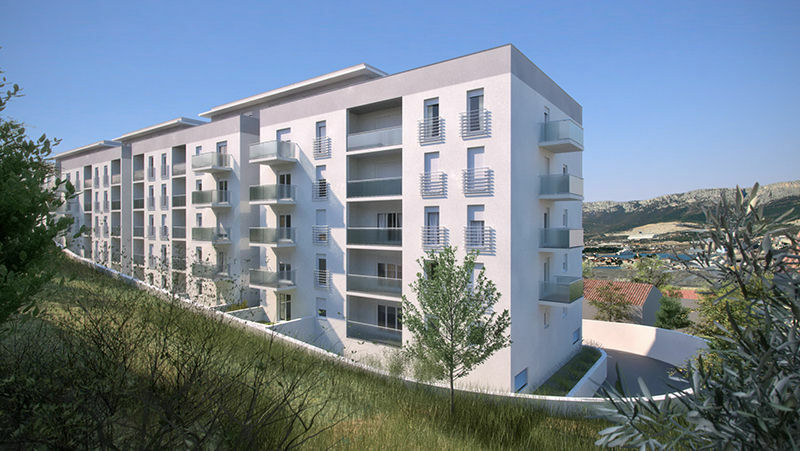 Due to all abovementioned features and its position on a mild slope that provides a lovely view over the sea and surrounding mountains, Brda has all the potential to develop into an attractive part of the city. 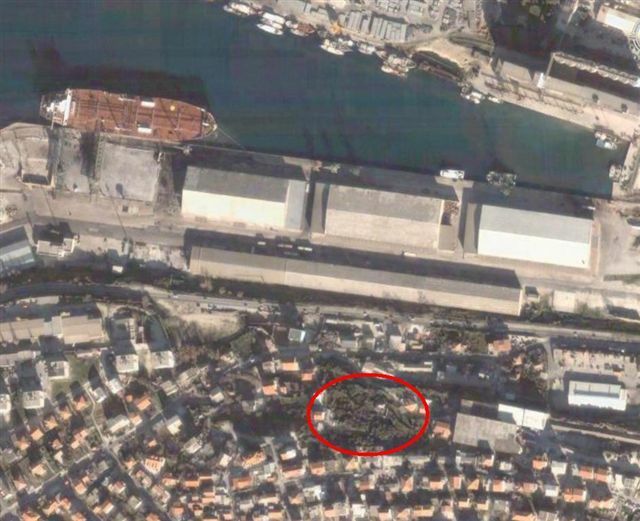 That potential is further stimulated by the fact that a cruiser harbour is expected to be built in a bay below Brda, and we also anticipate the construction of a bridge that would connect Split and Kaštela. Copyright (c) 2019. 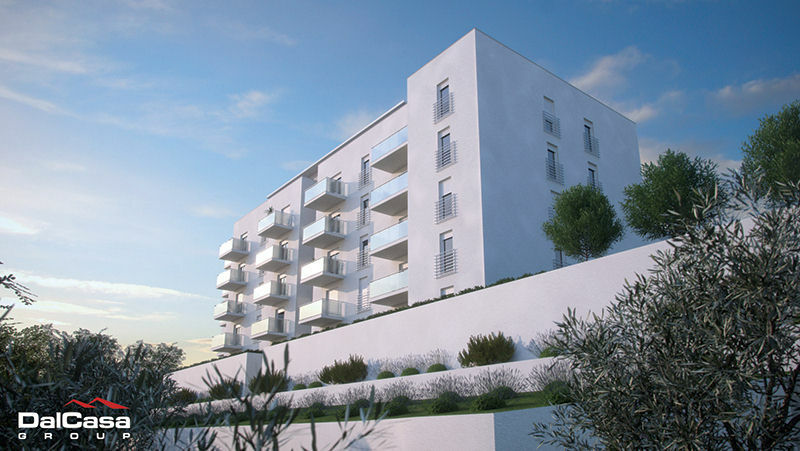 DAL CASA DEVELOPMENTS, Sva prava pridržana.